If there’s one thing I’m obsessed with, it’s getting my nails done.I feel like I’m not complete without perfectly manicured, colored nails. However, this week I decided to try something different- get the “gel nail extensions”. 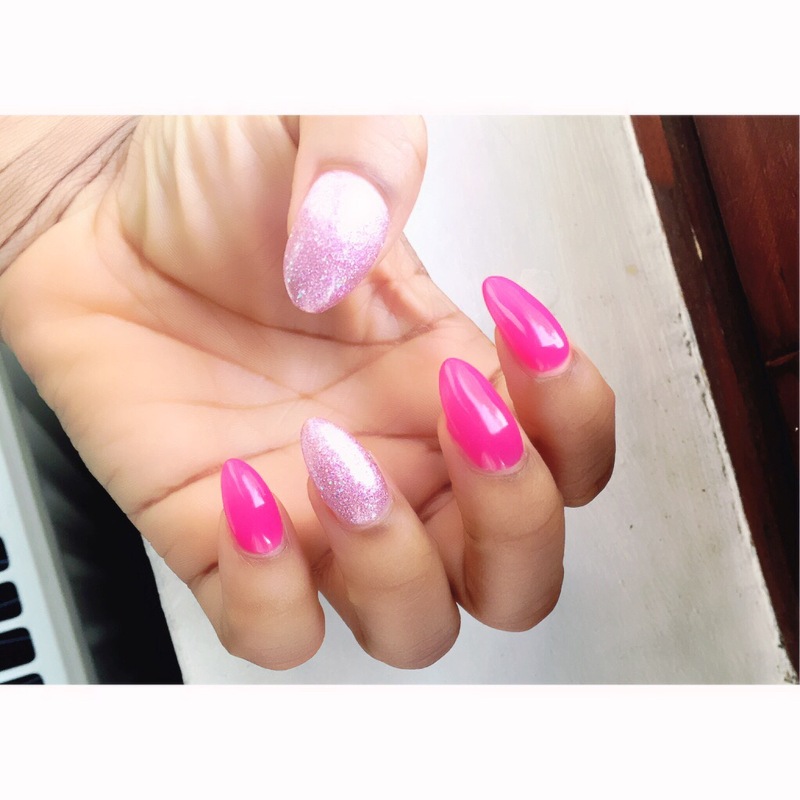 Lately I have been waiting for my nails to grow for the longest time but it wasn’t forthcoming at all,and I really wanted long nails (inspired by Serena Williams in Beyonce’s “sorry ” video by the way. 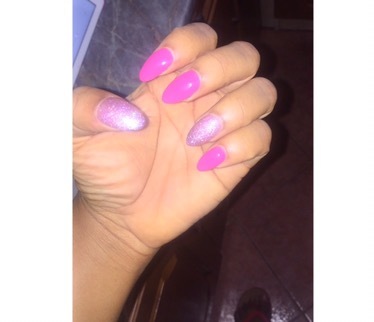 ), so I booked an appointment with the nail shop in my city, called “Nail Express” and was ready to begin. First she started with the usual manicure, cleaning the nail bed, trimming my cuticles etc,etc. Then she applied coats of different liquids, I think it was to create a surface for her to apply the gel on my nail…she then used a paper like thing under neath my nails-which was to give her a sense of what the extended length would be, and to make a foundation for the gel while it dried in the uv lamp. After it was all dried(which took about two minutes), she proceeded to file them into the shape and length I wanted. After about an hour and a half, I was done! And I was actually pleased with the outcome. The length was perfect and the shape was good too. The only downside to this is the cost though. For something that would last me only two weeks,three weeks tops, I thought it cost a bit too much, but it was a good experience and it was worth the money. P.S. I broke a nail after two days because I’m absolutely clumsy. Thankfully, it was fixed again at a cheaper price and I plan to be more careful. 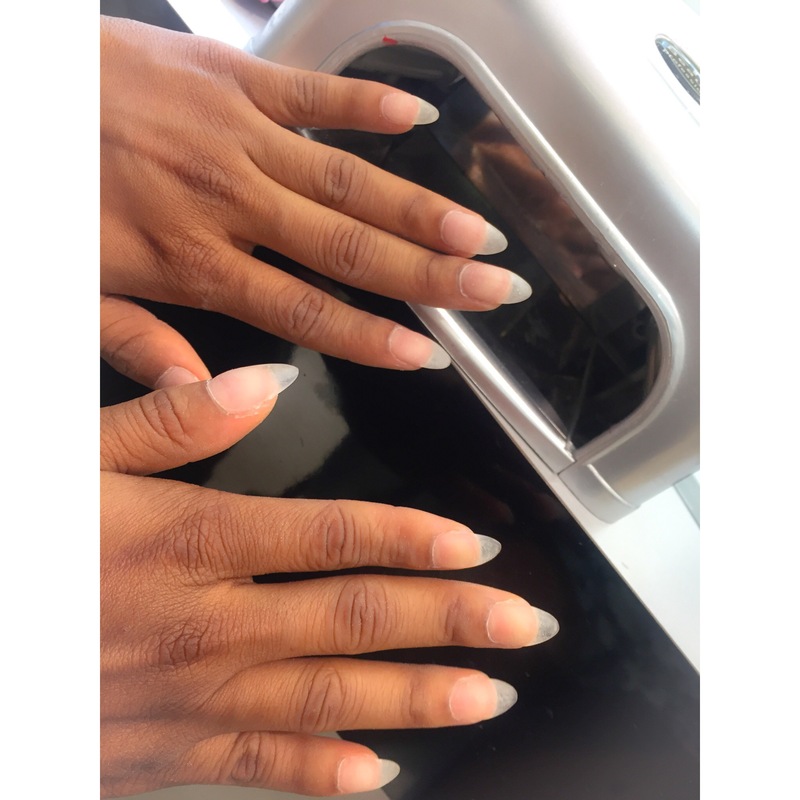 Have you tried on nail extensions before? Previous Money matters|| How to save money and not go broke. Next September Bucket list: 4 simple things to try this month! Very beautiful nails. The pink color made it perfectly attracting.